Does my car skid the clutch? Do I have the worn clutch? How much does it cost to change the clutch? This is a question that all drivers will have to face before or after, since the clutch will wear out every time we move the car. The clutch assembly is paramount to transmit the power of our car engine to the wheels. It is very common that with the passage of the kilometers some problems arise, but it must be very clear that the clutch is a vehicle wear element and that many times its repair or replacement is more part of the maintenance of the vehicle than a failure in itself. The clutch can show various anomalies or problems in its operation. We can differentiate between the clutch wear, which is the topic we are going to deal, and any other faults that may arise in the system. There are many symptoms that indicate that something is damaged or worn out in our clutch system. Let’s review how to know if the clutch is worn, diagnosing the problem and providing a solution. 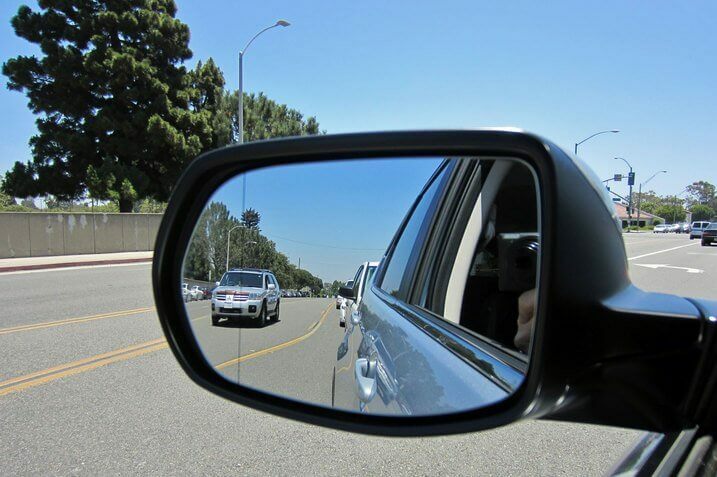 It is not possible to establish a specific mileage to determine when the clutch of our car is worn, since it influences much the use that we make of the vehicle. What we can say is that if we drive a lot around town (typical starts and stops), the clutch will wear out much more easily than if we make long motorway runs. Flaws in driving like carrying the foot on the clutch pedal can tremendously accelerate the appearance of problems. 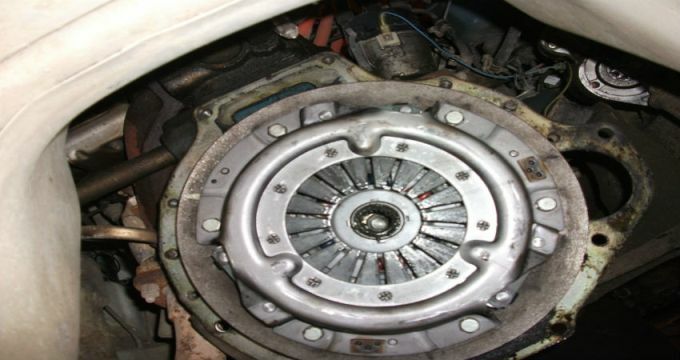 This is a very typical case which generally indicates that the clutch disc is worn. Checking it out is very easy. It is enough to circulate in long marches at a low speed and accelerate sharply. If we see that the engine revolutions rise but the speed does not rise (or does not exponentially) is a clear symptom that the clutch skids. Sometimes, after doing this test the car will start to smell “burned clutch”. The clutch disc can slip due to excessive wear or lack of friction. 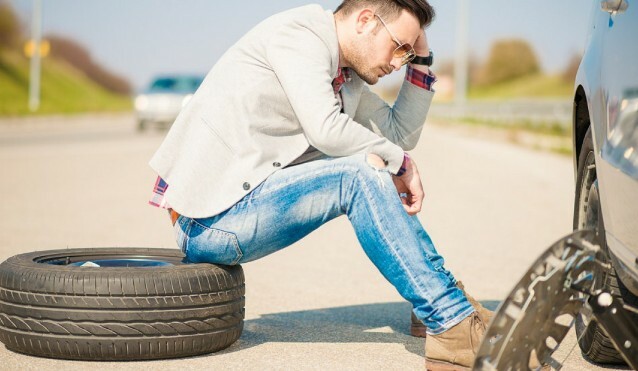 There are old cars that require periodic regulation of the clutch travel through the pedal and it must be ensured that a lack of contact between the disc and the flywheel is not the cause of the problem. If we talk about modern cars, it is probably a matter of wear or dirt on the disc. If there is oil or grease on the disc (due to the leakage of a seal) the adhesion would decrease and the clutch could slip, as if the surface is carbonized by an overheating known as “Burning the clutch”. Another way to check that the clutch is carried out is to release the parking brake with the car stationary and to insert a long gear (third, for example) and gradually release the clutch. 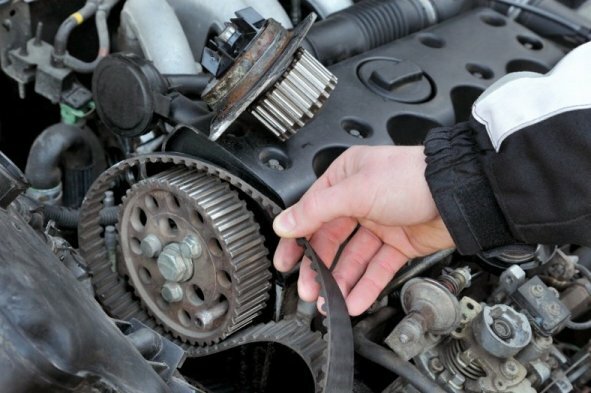 If the car does not shut up or takes too long, it is a symptom of a worn clutch that skids. This test should not be abused. If the clutch pedal of your car is very hard, it can be a clear indicator of excessive wear of the disc, although it must be ensured in advance that the problem is not the clutch drive cable or hydraulic drive system, depending on the vehicle. If the clutch pedal has little stroke, it is also an indicator of possible disc wear. How much does it cost to change the clutch? If the solution to any of these problems is to change the clutch, it is important to replace the whole assembly, consisting mainly of three parts such as the disc, the pressure plate (HUB) and pressure ring. The replacement of a clutch can cost around 600 euro. It is important to check that there are no oil leaks from the gearbox and check the condition of the flywheel. If this is a dual-mass flywheel (DMF) and is in bad condition it will have to be replaced, being able to cost the replacement up to 1.000 euro. Although some of the elements are fine, its accumulated fatigue can cause a breakdown in the future and when replacing a clutch the most expensive is the labor. Do not change the thrust bearing together with the rest of the clutch, which costs about 30 euro, can mean the disbursement of 400 euro in labor if that part fails.